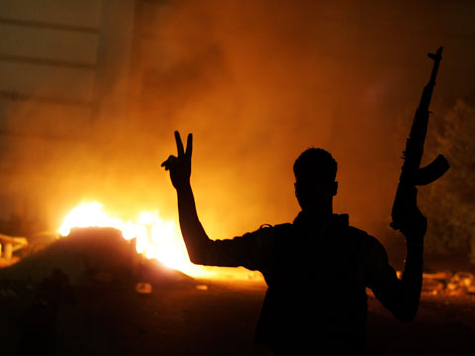 Benghazi Attack – Obama and Hillary Clinton’s Motivations | Stop Obama Now!! The death of the ambassador Stevens in Libya is on the same level as the kind of naive, new-age believers, who want to commune with gorillas or wild grizzly bears and end up being ripped to pieces or devoured alive by their “friends” in nature. Obama and Hillary wanted to show that, if you are trusting of the terrorists, they will respond in kind, in a loving and friendly way. They believe that is is the ugly Americans who are the “evil ones” and the terrorists are just defending themselves from American evil. They sacrificed Ambassador Stevens and three other Americans by putting them in a war zone without appropriate protection, just to try to prove their incredibly dumb, politically-correct and anti-American ideas. Then, they lied repeatedly in public and directed others to lie in order to try to cover up their criminal stupidity and make it look like it was the “evil” Americans again who were to blame for the attack by creating the myth that an anti-Muslim film was responsible. Their priority is not protecting American officials, but rather proving that their image of the “evil American” is correct. Obama and Hillary Clinton should be prosecuted for their crimes. It is a crime to fabricate and promote a lie to cover up your own wrongdoing that cost the lives of Government officials and servicemen. This entry was posted in Hillary Clinton, Obama. Bookmark the permalink. If this is proven fact, then it needs to be brought out and made an issue for the American People before the election. Issa has already called Hillary Clinton to testify at hearings about it. Maybe she will throw Obama under the bus for a change.